Bankruptcy law is based on the same principles that founded our great country. Life, Liberty, and Justice are all values derived from the notion of maintaining financial freedom. Shawn A. Doan defends this financial freedom that is so essential to all of us. Pursuing relief under the Bankruptcy code is a fundamental act of patriotism, like practicing free speech or any of the freedoms expressed in The Constitution. How is My Credit Affected if I File Bankruptcy? The question of what happens to your credit in the event you file bankruptcy is one of the most common questions in bankruptcy consultations. Make no mistake about it, filing for bankruptcy will affect your credit score. But how filing bankruptcy affects your credit score really depends on the state of your credit score prior to filing. If your credit score is poor due to delinquent accounts, filing for Chapter 7 bankruptcy protection can actually increase your score. The reason is because once your debt is discharged, your creditors must update your credit report to reflect the account as being “discharged in bankruptcy” and must change the balance owing to “$0”, and all ongoing derogatory reporting must permanently cease. It is not uncommon for an individual with a score of 520, due to missed payments, collection accounts, and high balances, see their FICO score jump to 650 or more within a year of filing for bankruptcy. On the other hand, if you have remained current on all your payments and your credit score is immaculate, your credit score will take a hit after filing chapter 7 bankruptcy. However, many clients find that discharging the debt they may otherwise never be able to pay off is worth the temporary hit to their FICO score. With the current state of the economy and the skyrocketing rate of bankruptcy’s, the number of potential customers to the credit industry you have less than perfect credit is simply to large to ignore. In many cases, an individual with no debt and the inability to file bankruptcy for eight years is looked at favorably! While filing for chapter 7 bankruptcy protection will affect your credit score, it is not as negative as you may think. In the long term, bankruptcy can be the best path to a solid financial future. If you would like to find out more about your bankruptcy options, please contact me today. Chapter 7 and Chapter 13 are very different. Each can be used effectively depending on your situation. Chapter 7 in most cases will allow you to wipe out ALL debt forever thereby providing you with a fresh start. Once your Chapter 7 case is filed, you will never be personally required to pay again on any debts that are discharged. The filing itself will likely repair your credit and in nearly 99% of filings you keep your assets, including your house and car. The filing of a Chapter 7 bankruptcy case will immediately stop Foreclosures & Repossessions, Bank Levies, Wage Garnishments, and Harassment. If you are delinquent on a home or vehicle payment, you will have several options to address the delinquency after you have filed the bankruptcy as the bank is now paying attention. A Chapter 13 allows you to consolidate your debt into one low monthly payment, eliminate some or all interest, reduce or eliminate unsecured debt and reduce your car payment, and protect co-signers. It too will immediately terminate all foreclosures and repossessions, bank levies, wage garnishments, tax interest and penalties, and harassment. Working out agreements and obtaining loan extensions require experience and negotiation skills. Furthermore, such alternatives can alert your creditors to the existence of nonexempt property that your creditor can seize. Of course, you can also do nothing. In any event, you will likely need professional counsel. What Should I Do After I Receive My Bankruptcy Discharge? When you receive your “discharge of debtor” notice from the bankruptcy court, you can rest assured that your bankruptcy case was a success. Your discharge document will be the most important document you will receive from the bankruptcy court and you should protect it as you would your birth certificate, passport and social security card. 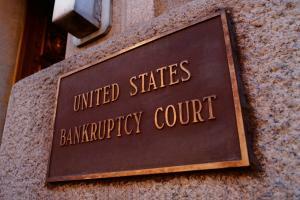 If you file Chapter 7 bankruptcy protection, you can expect a discharge 3-4 months after filing. Chapter 13 cases will be discharged once you complete your plan. Once you receive your discharge, there are still a few things that need to happen. First, and most importantly, you must ensure your creditors receive notice of your discharge. As long as you listed all your debts with the correct addresses, the bankruptcy court will automatically send the discharge notice to the creditors scheduled in your bankruptcy. In the event there was a debt you forgot to list or a debt has changed hands, don’t panic. There is case law to support the notion that those debts are discharged as well, as long as the case was a no-asset case and the debt is dischargeable. Secondly, you will need to follow up with the three major credit-reporting agencies. Send each reporting agency a copy of your discharge notice as well as the schedule of creditors listed in your bankruptcy (schedules D, E, F). This is an important step to repairing your credit after bankruptcy, as creditors are no longer able to report the discharged debt as owing in your credit file. All my clients will receive a pre-populated letter to all three credit agencies. Lastly, monitor your credit each quarter to confirm that the creditors are abiding by the discharge order and your discharged debt is being accurately reported. If a creditor fails to accurately report the debt as discharged or is continuing to attempt to collect on the debt, they are committing “discharge violation”. If you notice such discharge violation, which is common in many cases, contact your attorney immediately. Litigation in discharge violation cases can result in monetary settlements for you and the elimination of your debt completely from your credit file. What is a Trustee’s Notice of Abandonment of Property? If I have received a “Trustee’s Notice of Abandonment of Property,” am I going to lose my house? Many bankruptcy clients are understandably quite upset when they receive a “Trustee’s Notice of Abandonment of Property.” This notice is usually sent out by the Chapter 7 trustee shortly after their bankruptcy is filed. Clients believe they need to vacate their house or that they will lose their house. The opposite is actually true, and receiving this notice is actually a good thing. To fully understand what this notice is all about, it helps to review some basic bankruptcy information. Once a Chapter 7 bankruptcy case is filed, a trustee is appointed to oversee that particular case. It is the trustee’s role to ensure bankruptcy laws are being enforced as well as to liquidate any non-exempt assets in order to pay creditors. However, the majority of cases are “no-asset” cases, which means that what assets do exist are usually exempt under state and/or federal laws. When there are no assets to sell off for the benefit of creditors, the Chapter 7 trustee files a “report of no distribution/no assets” with the bankruptcy court. The “Trustee’s Notice of Abandonment of Property” is the actually the way the trustee notifies all potential creditors and the debtor that he or she will NOT be selling your home. The notice will usually state why the trustee is “abandoning” the property as a potential asset to administer to creditors, such as little/no equity in the property or costs of collection exceeding potential recovery. So, receiving a “Trustee’s Notice of Abandonment of Property” is actually a good thing, as it means the property is being “abandoned” back to you and anyone else with interest in the property. Be sure to keep this notice with all others you receive in your case. What type of debt you have is important, as what happens in the event of default depends upon whether or not the debt is secured or unsecured. Let’s discuss secured debt first. Secured debt is a loan backed up with physical property such as: a home mortgage (loan secured with the house and property), a car loan (loan secured with the vehicle), or a loan taken out to pay for a high value item such as a stereo, computer, or air conditioner, that you are paying off over time and in full. In the event you default and are no longer able to pay off this secured debt, your creditor has the right to proceed against collateral, and apply those proceeds against payments owed. To simplify the concept of secured debt, let’s use a common example: car payments. When you finance a car purchase, you take a loan from a bank, and the bank secures the loan with the car. In other words, until you have paid off the loan in full, the bank still holds the title to your car. If you fall behind on your payments, the bank has the right to repossess (proceed against collateral) your car. Once the car is repossessed they will most likely try to sell the car, applying whatever money they get toward the outstanding loan balance (apply proceeds against payments owed). The bank may also add any additional fees that they incur in repossessing the car, such as attorney fees and collection fees. More often than not, the money they obtain from the sale of your car will not cover the entire balance left on the loan, and they then will come back to you for any balance still owed. So, after defaulting, you’ve lost the car, lost all the money you put toward paying off the loan, and you still owe money to the bank! Now lets consider unsecured debt. Types of unsecured loan or debt are credit cards, personal loans, or student loans. With this type of loan the creditor does not have the right to repossess the item you purchased (as on a credit card), but instead would likely use the courts to obtain any monies still owed from you. Again, let’s take an example. Say you purchased a big-ticket item, such as a dishwasher, on a credit card that is already close to its credit limit. If you are unable to continue to make the monthly payments to the credit card company, they have the right to get a court to order you to pay money, assuming that you are found to owe the money. Unsecured creditors can obtain a garnishment against you and take up to 25% of your paycheck to be applied toward the monies owed. Please remember, even if you are unable to make payments, you still have legal rights and options. Filing for bankruptcy can help you with both secured and unsecured debt. If you are considering bankruptcy, understanding what type of debt you have is important. A Chapter 7 or Chapter 13 bankruptcy petition will provide you various options in dealing with your debt. Depending upon what types of debt you have and how behind you are on your payments, bankruptcy may help you remove garnishments, save your car, and eliminate some or all of your debts. For assistance looking at your financial situation please contact me today. A key aspect in the decision to file bankruptcy is determining what you owe and what you own. Usually, knowing what you owe is fairly simple because creditors will be attempting to collect missed payments every way they can! Make an inventory of all your debts and things you do not own before moving on to what property you do own. While this is not complicated, understanding what property you own may take a little time. Property is typically divided into two categories, Real and Personal. In the context of bankruptcy, Real Property is the home you live in, and Personal Property consists of your personal possessions. Real Property is land and anything growing on, attached to, or erected on it, excluding anything that may be severed without injury to the land. Real Property is easily inventoried; however, Personal Property may take a little bit more time. Personal Property is any movable or intangible thing that is subject to ownership, and not classified as Real Property. Tangible personal property is something you can touch and is movable. Intangible personal property is property that has no physical existence, such as stocks, bonds, bank notes, trade secrets, patents, copyrights, professional reputation, goodwill, and trademarks. Some of these “untouchable” items may be represented by a certificate or license, but keep in mind that they are still considered Personal Property. It is important that you inventory the extent of the personal belongings in your home. The easiest way I have found to do this is approach the task room by room. Start in the kitchen and develop a list of the pots and pans, silverware, furniture, etc. Some things, like the stove and dishwasher that likely came with the house may be Real Property. Then keep the process moving room by room. Once you have the list, you will need to place a value on your property. This is the replacement value – what you would pay a retail vendor for each item, considering it’s condition and age. There are many forms I can provide to help you with this process so that you fully understand what your personal property is and what it is worth. Please contact me anytime for a free consultation. 1. Pay on Time by Paying in Advance: Simply paying your bills and loans in advance will go a long way toward improving your score. 2. Follow Up with the Three Major Credit Reporting Agencies: Send each reporting agency a copy of your discharge notice, as well as the schedule of creditors listed in your bankruptcy (schedules D, E, F). This is an important element in repairing your credit after bankruptcy, as creditors are no longer able to report the discharged debt as owing on your credit file. 3. Monitor your Credit: Check with each credit agency quarterly to confirm that the creditors are adhering to the discharge order and your discharged debt is being accurately reported. If a creditor fails to accurately report the debt as discharged, or is continuing to attempt to collect on the debt, they are violating the discharge order. If you notice a discharge violation, which is common in many cases, contact your attorney right away. 4. Wait Before Seeking New Credit: Hold off as long as possible before seeking new credit. You will find lenders who will make loans to you immediately after a bankruptcy and they will seek you out. It is not uncommon to receive credit card offers in the mail even before you receive your discharge! However, you can expect to pay MUCH higher rates than most people. 5. Rebuild Your Credit with a Secured Card: Many people looking to repair their credit start with a secured credit card. A secured card (meaning you back it with equal funds) will help rebuild your credit history. After six months to a year of using a secured card you will find that you can get a more traditional credit card without having to put down a deposit first. Using your credit card immediately before bankruptcy is never a good idea. While the majority of credit card debt is dischargeable through filing for bankruptcy, credit card charges of $600 or more in luxury items, racked up within the 90 days prior to filing bankruptcy are non-dischargeable. The best rule of thumb is not to use any credit cards right before filing bankruptcy. A credit card charge that is incurred in the 90 days before filing might not be discharged if the creditor can prove that there was no intention of paying the debt. This goes for cash advances as well. Certain purchases and cash advances incurred immediately before filling bankruptcy can be perceived to be fraudulent. So if you purchased a designer bag, a new computer or an expensive sofa and plan on filing for bankruptcy, be mindful that a lawsuit from your credit card company objecting to your discharge may follow. Be sure to inform your bankruptcy attorney of any purchases of $600 or more that you’ve made on your credit cards because it may be in your better interest to delay filing until after the 90 day presumption time period has passed. Typically your credit card company will be more understanding when necessities like food and diapers were purchased with credit and then soon after bankruptcy is filed, but they won’t be so understanding when the purchase is a luxury item. Using a credit card to buy essentials like food can also be a good indicator of financial distress to a credit card company. If you are unsure about any purchases you’ve made immediately before filing for bankruptcy and are wondering if your credit card debt can be discharged, consult with your bankruptcy Attorney Shawn A. Doan for more information. Almost everything today can be done online and conveniently. Buying groceries, booking a flight, and paying your bills are all things that can be done over the internet to make our lives more simple, however, filing for bankruptcy shouldn’t be one of them. It is very important that your bankruptcy case be filed and handled correctly. Filing for bankruptcy protection in San Diego is a very technical and voluminous process, a single error could fatally affect the results of your case or even result in case dismissal. In certain situations, such errors may even cause the debtor to lose the right to file another bankruptcy case or may lose certain protections in later cases. The words “pro se” means advocating on one’s own behalf before a court, rather than being represented by a lawyer. A pro se litigant is still expected to follow the rules and procedures of the local and federal courts as well as be familiarized with the Federal Rules of Bankruptcy Procedures and the United States Bankruptcy Code. Despite the fact that you are not an attorney, you will still be held to the same rules and standards. Consulting with an experienced attorney is your best choice since they will have a greater understanding of the options most fitting to your situation. In the instance you have an overzealous creditor, Doan Law Firm will prosecute creditors that do not abide by the rules once bankruptcy is filed and they will do it on your behalf. If you decide to file for bankruptcy over the internet and on your own, it would take additional time and effort on your part to stop the harassing calls of creditors where as an attorney will do this for you. Bankruptcy is more than simply filling out forms. When you choose to file on your own, getting “help” from a friend or an online preparer can hurt you more in the long run. All too often one has to seek counsel to try and fix a mistake, which in the end, can cost you more than if you had simply contacted an attorney from the start. Contact Bankruptcy Attorney Shawn A. Doan for an initial consultation. You will see first hand the level of knowledge, compassion, and expertise that an internet form simply cannot provide. Think You’re Too Broke To File? We Can Help! If you are thinking, “If I could afford to file for bankruptcy, I would.” What you really should be thinking is, “How can I not afford to file for bankruptcy” –especially if you are several thousands of dollars or more in debt. The new bankruptcy law, known as the 2005 Bankruptcy Abuse Prevention and Consumer Protection Act, has done nothing more than make filing for bankruptcy more expensive for the average person. In fact, 2009-2010 saw record filings surpassing the filings that occurred in the 12 months leading up to the new law. As our economy continues to wither in unemployment, new bankruptcy laws have caused hundreds of thousands American’s to be “too broke” to afford the relief in bankruptcy. In an effort to address this problem, San Diego bankruptcy Attorney Shawn A. Doan offers his clients several payment options. His office will break down your fee over the course of 4 to 6 months, sometimes longer in certain conditions, making the bankruptcy both affordable and convenient. Once you retain our office, you and your family can breathe a long sigh of relief. You will no longer have to deal with harassing phone calls from bill collectors to your home or even your workplace. You can also stop making payments to the creditors you intend to discharge in bankruptcy. This in turn will end the stacks of past due notices in the mail you receive. All of this is protected by the attorney client privilege, which you can create with our law firm with as little as $100.00 down. With just a small amount upfront, we can get to work and have our office file the arduous paperwork on your behalf, paving the way to financial freedom. Our extensive experience and knowledge of current bankruptcy law assures that you will be protected and that your family’s best interests will be met through our representation. • Use the money that went toward debts that the bankruptcy is going to get rid of. • Borrow from a friend or family member. • Take out a loan on your 401K. • Use your tax refund. • Temporarily getting a second or third job. • Sell an item of value. Before you do any of these though you will want to meet with an experienced attorney to confirm you are not jeopardizing your filing. In the end, these small sacrifices will have a huge payoff. Before you conclude that you cannot afford to file, meet with one of our experienced bankruptcy attorneys to go over your options. Getting a fresh start is more obtainable than you may think.